As any enthusiast of the genre would attest to, the mark of a traditionally successful survival horror game is its ability to impose control over the very player who attempts to outwit, outfight and outlast the game, using equal parts gore and psychological terror to push the player to the edge. 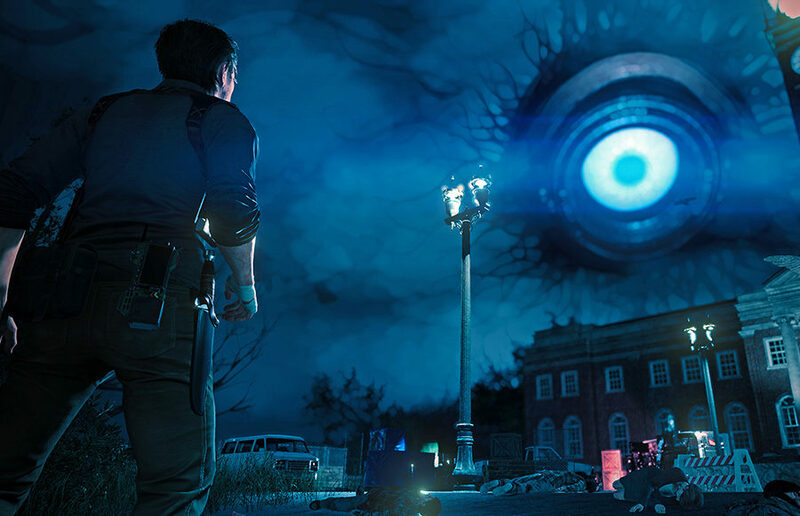 Yet as Bethesda’s latest installment in “The Evil Within” franchise proves, survival horror — when incorporating elements of open-world design and engaging storytelling — is capable of far more intrigue than the simple run, hide and shoot formula that recent horror games have conditioned players to adopt. Picking up three years after the events of the franchise’s first game, Tango Gameworks’ “The Evil Within 2” reintroduces the player to Sebastian Castellanos, the troubled former Krimson City Police Department detective whose picturesque life spiraled into a living hell of alcoholism after the tragic death of his young daughter Lily and the consequent disappearance of his wife. Sebastian is undoubtedly still haunted, both mentally and emotionally, by his interactions with Mobius — featured in the first game, the shadowy organization holds a lofty goal of linking the minds of humanity together, for better or for worse, using their STEM system. Alone and distressed, Sebastian learns the shocking news that his daughter is not actually dead, discovering that Lily was kidnapped by Mobius and is trapped in their vision of a quaint, STEM-generated town known as Union. What begins as a simple extraction mission to save Lily however quickly descends into an agonizing journey into a town ravaged by undead creatures known as the Lost. Union is filled to the brim with blood, gore and Sebastian’s own past demons, leaving Sebastian to fight for survival while he attempts to save Lily. The brainchild of beloved Tango Gameworks head Shinji Mikami, “The Evil Within 2” showcases gameplay that is reminiscent of Mikami’s fan-favorite survival horror game, “Resident Evil 4” — the game leaves the player to decide when to ambush a group of the Lost using a series of traps and skillfully placed shots, and when to back down and use stealth to avoid crossing paths with enemies entirely. 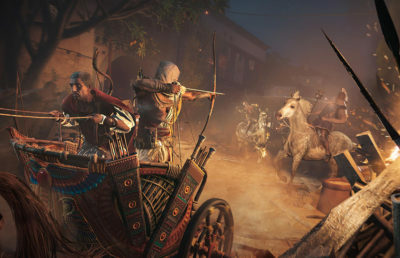 But regardless of whether a combat-heavy or stealth-based playstyle is honed by the player, one thing is for sure — upgrading Sebastian’s weapons and skills in addition to scavenging the world of Union for exhaustingly rare resources is the only way to avoid an untimely death in the heat of a battle. “The Evil Within 2” requires players to exert some form of strategy in order for Sebastian to walk away barely breathing from gruesome, close-quarters combat. Straying from traditional survival horror games, “The Evil Within 2” embraces open-world exploration and optional side quests as a manner of not only advancing Sebastian’s ability to tackle Union, but also progressing the linear storyline, adding to the impact that the plot has on the player. These seemingly fleeting elements of the game add to the sense of pacing that “The Evil Within 2” maintains throughout its various chapters — just when the player begins to gain a sense of relative comfort with Union’s environment, the game throws an entirely new set of terrifying challenges at Sebastian. “The Evil Within 2” distances itself from the prevailing AAA-rated horror titles of recent years by doing the seemingly impossible for a game of this genre — it develops a complex protagonist and an engaging plot line that the player actually cares about, all without sacrificing the game’s rigorous combat system. 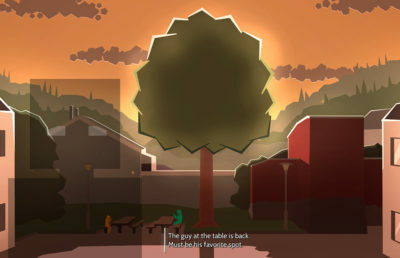 As the game progresses, the player cannot help but sympathize with the distraught Sebastian, who has been given the chance to redeem himself and save his daughter by enduring unspeakable horrors. But at the core of its grotesque, beating heart, “The Evil Within 2” remains the epitome of survival horror — the game uses its visually stunning graphics and chilling sound design to create an ambiance of psychological horror that rivals Konami’s cult-favorite “Silent Hill” series in its fear factor. 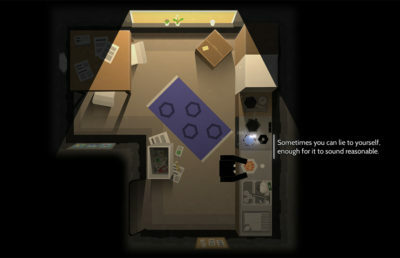 The game manages to disturb and invade the player’s mind in a manner not suited for the faint of heart. A full survey of traditional horror elements from psychological terror to cult symbolism to outright, blood-and-entrails gore, “The Evil Within 2” manifests an intense foray into the utter destruction of the human world beyond that of recent survival horror games, leaving the player breathless and on the edge of their seat long after the close of the game’s final chapter. “The Evil Within 2” is available on PS4, Xbox One and PC.